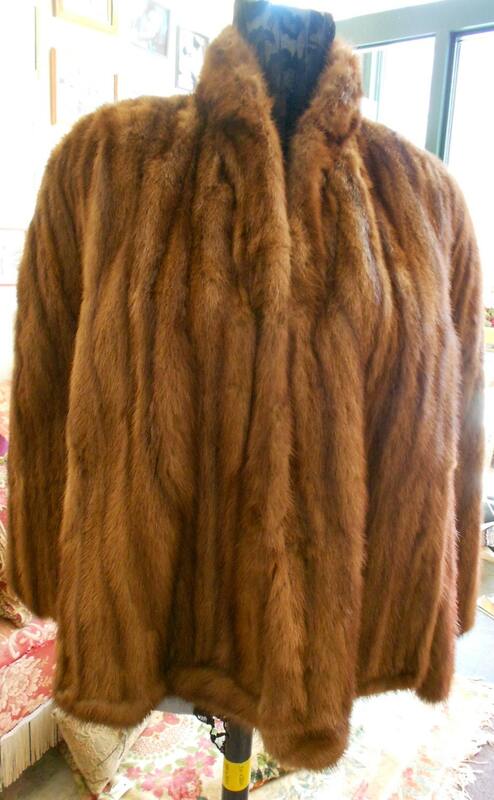 1950's, 40 chest, finger length mink cape. 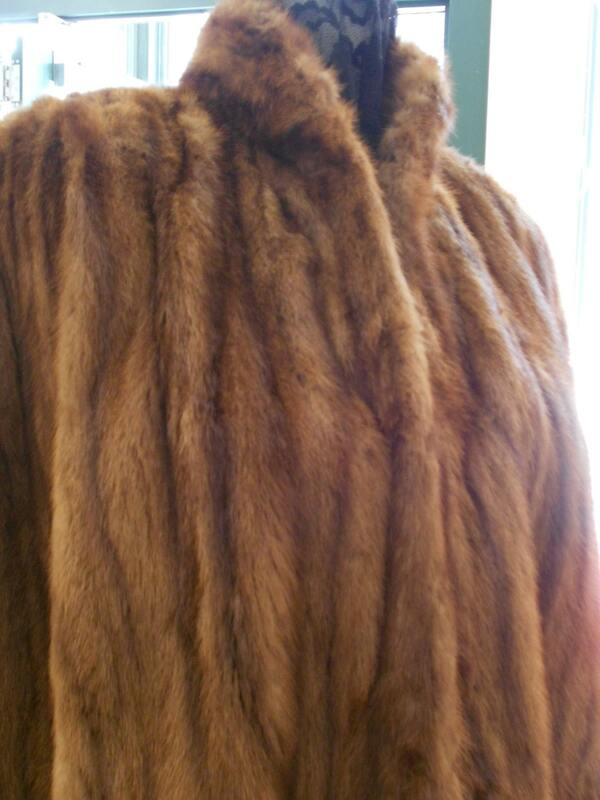 1950's, 40" chest, finger length mink cape. 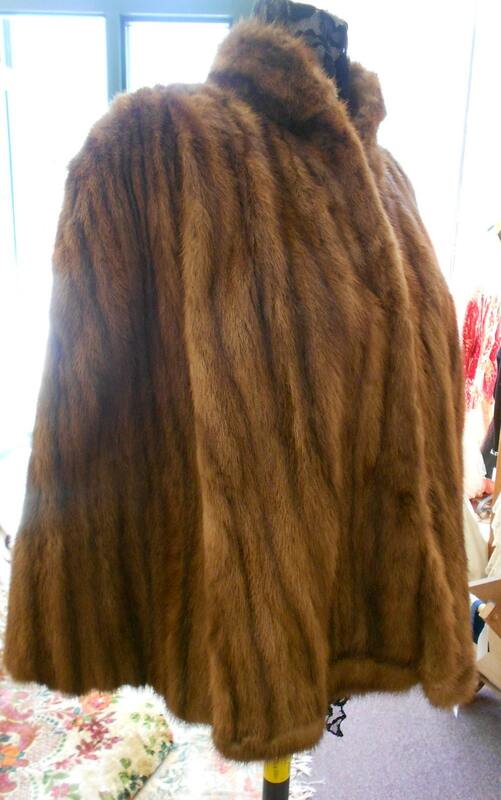 1950's, 40" chest, finger length mink cape. 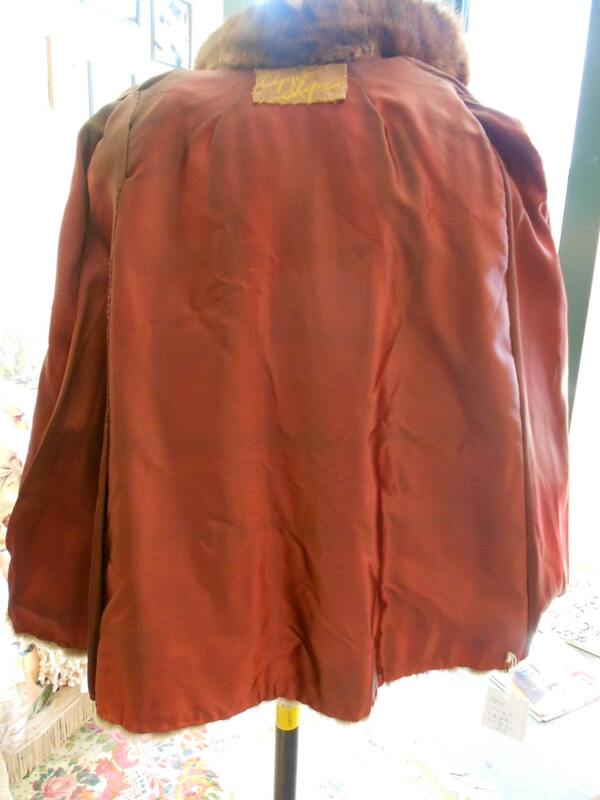 Cape has stand up Mandarin collar, straight shoulders, gradually flared below hips. Slits on both sides of cape from hem to underarms. 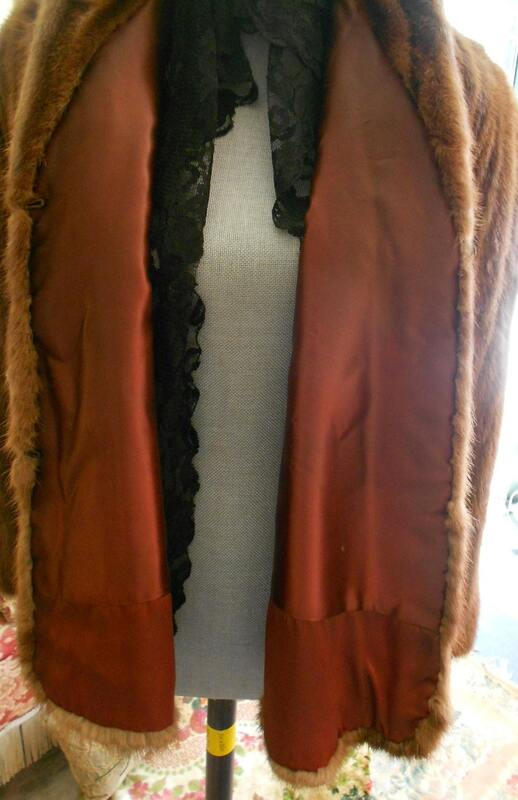 Fully lined in red brown satin. Label reads "Agnes Shoppe". Cape is fastened in front with 3 hooks and eyes. shoulder to hem 27"Necklace is fastened by spring lock. beads range in size from 1/4"-1/2"